Neurons within a person’s brain exhibit striking variations in DNA copy number. WIKIMEDIA, GARPENHOLMGenomic analyses of single human neurons—either from postmortem brains or those derived in culture—reveal a considerable degree of DNA copy number variation, according to a paper published today (October 31) in Science. It is likely that these genetic differences affect brain cell function, and they may even shape our personalities, academic abilities, and susceptibilities to neurological diseases. “It’s an exciting paper. 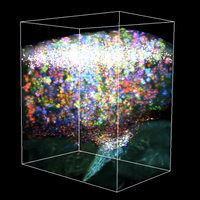 It’s a closer look at the single cell genomes of neurons . 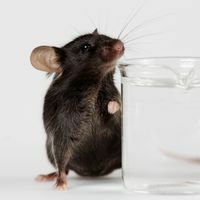 . . and it identifies another layer of genomic mosaic changes that are occurring amongst neurons,” said Jerold Chun, a professor of molecular and cellular neuroscience at The Scripps Research Institute in La Jolla, California, who was not involved in the work. The other genetic changes in neurons, to which Chun referred, are aneuploidy—changes in chromosome number—retrotransposition events—replications of short DNA elements that insert themselves across the genome—and the expression of DNA-altering enzymes, all of which are particularly abundant in the brain. Ira Hall, a professor of biochemistry and molecular genetics at the University of Virginia who was one of the lead authors on the new study, was interested in whether DNA copy number variations were also prevalent in brain cells. “There was a really long-standing hypothesis that given the huge diversity of cell types in the brain, there might be [genetic] mechanisms . . . to generate [the] diversity,” Hall explained. Hall got his wish. 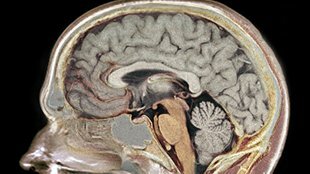 Thanks to a single-cell sequencing technique devised recently by scientists at Cold Spring Harbor Laboratory in New York and their colleagues, Hall has been able to sequence the genomes of 110 individual neurons from the postmortem brains of three individuals. He found that a striking 41 percent of the cells contained one or more copy number variations. Most of these were sub-chromosomal alterations—either deletions or duplications. 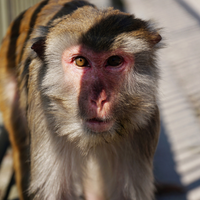 He and his colleagues also found similar copy number variations in neurons derived in culture from human induced pluripotent stem cells (iPSCs). Fred Gage and colleagues at the Salk Institute for Biological Studies in La Jolla, who collaborated on the paper, studied 40 individual iPSC-derived neurons using a recently developed single-cell microarray-based strategy, and found that 13 of the cells had unique changes to their genomes. Interestingly, neural progenitor cells derived from the same iPSC lines did not exhibit such abundant diversity. This suggested that the genetic variation in neurons occurred only at later stages of differentiation. And that the variation developed in a short space of time—the seven weeks it took to differentiate neurons from neural progenitors. Furthermore, the results implied that genetic variations seen in adult postmortem brains were unlikely to be a mere side effect of aging. “It certainly would suggest that some of the changes are occurring pretty early,” said Chun. However, “these changes will stick around for your lifetime, and thus their potential to shape brain function becomes more germane.” Although it is possible that such genetic diversity may occur in some other tissues, he added, it might not have such life-long effects. Indeed, Chun said it is possible that the observed genetic diversity in the brain may influence behavior, intelligence, and susceptibility to neurological and neuropsychiatric diseases. “I would say it is certain there will be functional consequences for at least some of these changes,” he explained. The key to answering such questions will be to investigate whether the copy number variations translate to gene expression changes, said Nicholas Navin, a professor of genetics at the MD Anderson Cancer Center in Houston, Texas, who was part of the group that developed the single-cell sequencing technique, but did not participate in the study. “I think in future work it would be nice to actually have both transcriptome and genome copy number profiles to see how that diversity is affecting expression levels,” he said, noting that technology has yet to allow for such dual-analyses on a single cell. M.J. McConnell et al., “Mosaic copy number variation in human neurons,” Science, 342: 632-637, 2013.